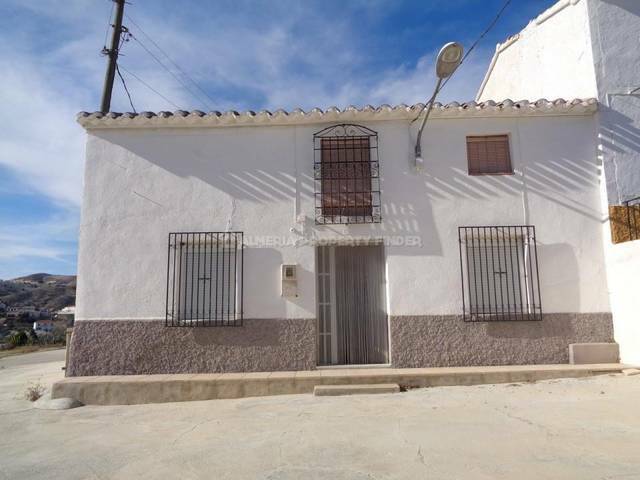 Fully renovated 3 bedroom village house for sale in Almeria, situated on the edge of a village in the Rambla de Oria. 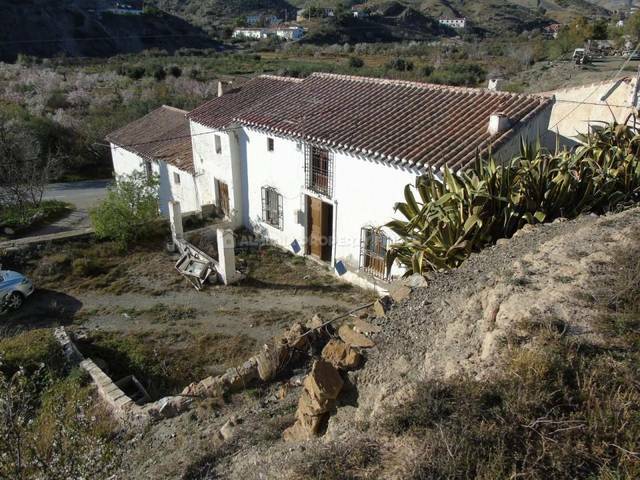 This two storey property is set in a plot of 2481m2, and has two entrances, one on the lower level where the bedrooms can be found, and the other giving access to the living area on the upper level. The top floor entrance opens into a reception room with a door leading into a spacious fitted kitchen with large open fireplace and ample space for a table & chairs. An open doorway from the reception room leads into the lounge / dining room, and stairs lead down to the lower level where there are 3 double bedrooms and a large bathroom comprising bath with shower over, basin set in a vanity unit, WC and bidet. 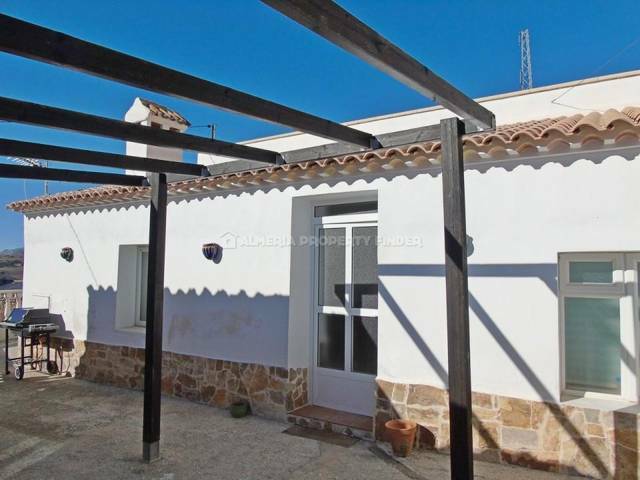 The property is attached to some garages and storerooms belonging to a neighbouring property which is also for sale (APF2427 Casa Chacones). Mains electricity and water are connected, and telephone / internet are available for connection. The plot is spread over three terraces, and includes a two storey outbuilding of 72m2 which would make a fantastic workshop / guest annexe. There is also an open water deposit to house the irrigation water for the mature fruit trees planted on the lower terraces, including orange, olive and pear.